This, and the others from this series, are fantastic. When I saw you post these, I was immediately curious to hear more about them. Can you tell us a little set the stage? Thanks for your interest in these images. I spent nearly a decade living in Senegal when I was based there from 2005-2014 as a newswire photographer covering Africa for Reuters. During that time, Dakar was my home. It’s a vibrant, sophisticated West African city with great beaches, bars, music, food, and nightlife – a good place to relax between difficult assignments covering conflict and strife in other, less stable countries. I left Africa in 2014 for a posting in Israel/Palestinian Territories. I ended up covering the Gaza war that summer from inside Gaza. After that experience, I left Reuters. By then, I’d spent about 15 years covering wars across Africa, in Afghanistan, and then in Israel/Gaza. I’d had enough, not only of the violence and the suffering I witnessed, but I was also tired of the repetitive nature of these tragedies, and fatigued by the way the media documents such events. I felt like I was done with photography, and before this trip to Senegal I hadn’t picked up my cameras in more than a year and a half. I’ve turned to writing instead and I’ve been working on a nonfiction book during that time, about the psychological costs of war. 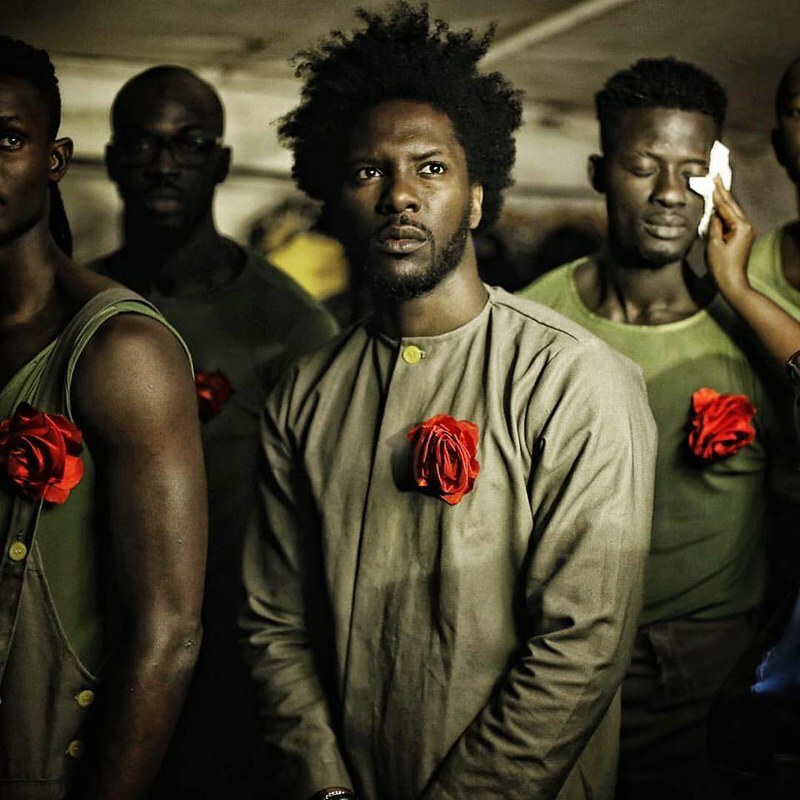 But when my friend, Adama Ndiaye, who runs Dakar Fashion Week, invited me to come in June, I accepted. 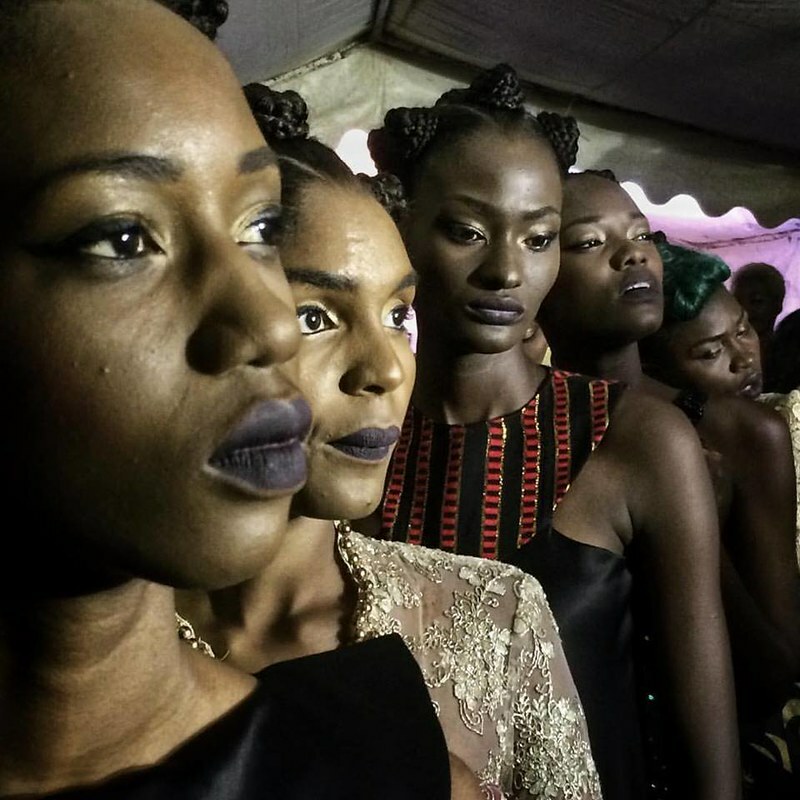 I always enjoyed covering Dakar Fashion Week when I lived there and I’ve become good friends with those involved—organizers, models, designers, and photographers—so I knew it would be a good atmosphere. I wasn’t on assignment and wasn’t even sure I would shoot anything, I just wanted to see friends after two years away. Once I arrived, I got caught up in the creative buzz and ambience and started shooting, initially just with my iPhone, but then with my real cameras. I slipped back into an old rhythm and it felt good. I was suddenly enjoying taking pictures again in a way I hadn’t felt in ages. Without an assignment or outlet, I posted them on Instagram and Facebook. It was my first experiment doing something like that, and the response was fascinating. I’ve always been suspect about over sharing on social media, but I soon got over the uncomfortable feeling of self-promotion to enjoy the kind of open engagement these outlets allow. Before we get into this shoot, I want to acknowledge your impressive career. Can you tell us some about how you got into photography (and why), and how it’s changed your life? I fell into photography by accident. I started my journalism career as a reporter in Canada, working for newspapers as an arts writer, covering music, film, social trends, and celebrities. That was never my aspiration, but it was the first job I got out of journalism school. I always wanted to work in Africa, where I spent a year backpacking after finishing my undergrad degree in 1994. I was in Rwanda as the genocide began to unfold, then in South Africa as Mandela was elected. Those experiences were formative for me as a 23-year-old and I knew I wanted to go back and tell stories from those places where I’d seen some of the best and worst of what people can do. After finishing my graduate degree in journalism in Toronto, I did the newspaper gig for a few years before quitting a comfy staff position in 2001 to become a freelance stringer for Reuters in Kinshasa, Congo. I spent two years covering Congo and Rwanda and Central Africa’s Great Lakes region, which at the time was in the midst of a devastating war that claimed the lives of some five million people, making it the deadliest conflict since World War Two. I spent a year living in Rwanda in 2004 with two freelance photographers for AP and AFP. I never had a photographer to shoot pictures to accompany my Reuters stories, so I started to shoot and file my own. When I went to Darfur in Sudan, in late 2004, I was told by Reuters to send as many pictures as I could from what was then a relatively unknown conflict. It was always difficult to get stories from Congo and Sudan into newspapers and magazines amid the post-9/11 media focus on Iraq and Afghanistan, but suddenly my pictures were appearing on the front page of the New York Times, and in double page spreads inside major magazines. I discovered then how photographs tell a story in powerful, immediate, and emotional ways that words often cannot. Being from a text background, I still wanted photographs to prompt people to seek out more information and context, but I knew I wanted to try photography full time. In 2005, Reuters offered me a freelance photographer position based in Senegal. Within a few months of being there, I took a photo during a hunger crisis in Niger that later won the 2006 World Press Photo of the Year. This was pretty much just a lucky turn that gave me an unexpected career boost, a staff position with Reuters, and an elevated profile that created new opportunities, and challenges. I undertook an increasing amount of work in conflict zones, from Chad, Sudan, Congo and Libya, to Tunisia, Afghanistan, and Gaza. After years of such assignments, I was one of several journalists profiled in the documentary film, Under Fire: The Psychological Costs of Covering War (the film was shortlisted for a 2012 Academy Award). My war experiences and my involvement in the film turned me toward an exploration of trauma psychology, which I studied during a yearlong academic fellowship at Harvard in 2012-13. The combination of this frontline work and academic research is now the focus of my book, Shooting Ghosts, which I’m writing with a U.S. Marine I met in Afghanistan. (It will be published next summer by Penguin/Random House). How do you think your previous experiences have helped you create opportunity like this shoot? Well, there’s obviously a pretty big difference between covering conflict or unrest and covering fashion, but in any kind of crowd situation the challenge is to create order out of chaos, often within a confined space. So being able to move and work without getting in the way of what’s unfolding is important. You need to be aware of how you move through any kind of photographic space and attempt to occupy as little of it as possible. The models and designers are there to be photographed, but backstage they also have a job to do and as a photographer you need to respect that and not become an obstacle to the flow. Now, specifically to this shoot. I’m always curious as to how photographers gain access to places. Can you speak to this? 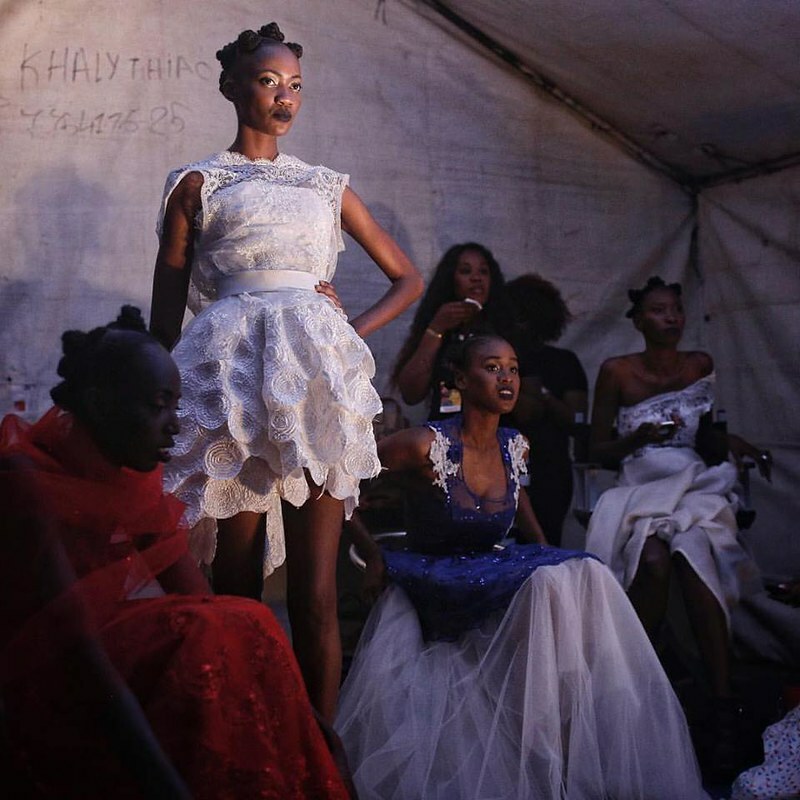 In this instance of Dakar Fashion Week, I know most of the people involved and have covered the event several times before, so in a way I was an insider with unfettered access. The people in charge invited me, and are close friends, and the models know my work from previous years. If anything, the challenge was to find images where there wasn’t too much posing going on. I wanted something more candid and natural than super staged pictures, even though the entire event is conjured as an elegant pose. Still, within that, there are quieter moments that are more interesting to me. I spent enough time hanging around so that people eventually started to ignore my presence, at least a little, and I could find those more honest, telling fractions of a second. There’s a great sense of transparency, fluidity in your ability to move and photograph in the space. Can you talk about what language you used (verbally and body-language wise). Senegal is a French-speaking country, along with the local Wolof language, but most of the people involved in this event also speak some English, so verbally it was a combination of all three languages (I don’t speak much Wolof, just a few words). In terms of body language, I mostly left that up to the models. I guess one thing is I don’t actually shoot that much. I tend to just watch, and wait, and try to see things unfolding, and to predict when and where a nice picture might happen. I’m always interested in how photographers problem solve. What problems did you encounter during the shoot, and how did you overcome/work through them? Well, it may not appear so from the pictures, but the scenes are frequently dull and uninteresting around these kinds of events. And the lighting is often terrible back stage. So the challenge is to find ways to illuminate dark skin against high contrast backgrounds. In the past I have used hot shoe-mounted or handheld LED lights to good effect, or hand-held mirrors to reflect weird lights while shooting, but I had none of that this time around. I just used ambient light and on a few occasions I pointed the flashlight from my iPhone at the subject while using my DSLR, just to give a little ping of light when things were too dark. Sometimes I would take advantage of TV cameras pointing their big lights onto subjects. Another photographer who was there shot everything on flash and his images have a completely different look and feel. Everyone will have their own style and approach. The other problem is crowding. There are a lot of people moving around backstage and I had countless occasions where I framed something I liked just as someone stepped in front of my lens or otherwise blocked my composition. Not much can be done about that, other than to be quick. I also had to work around a lot of peripheral people getting in the way shooting pictures on their mobile phones while I was trying to make a picture. That’s how it is now, so may as well get used to working around such things, or incorporate it into the shoot somehow. What surprised you about covering this event? Photography had once the creative force defining my career, my sense of purpose and identity, but over the last year or so, it was no longer part of my life. And I didn’t even miss it. 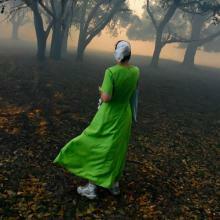 With the explosion of mobile phone and social media use, photography seemed like something for everyone else to do. On my second day, I wandered backstage at a beachfront venue long before the show began. Music was pumping, the sun was setting, and the sky held a purple glow as bright stage lights cast sharp shadows onto rough concrete walls while makeup artists and hairdressers fussed over a dozen or so models. Designers fretted over their creations. The messy scene was captivating. I spent half an hour shooting with my iPhone before rushing back to my hotel room to collect my real camera. For the first time in ages, I felt that irrepressible urge to photograph.Amid the clamor of backstage nerves and excitement, I slipped into a familiar rhythm, moving through the action while seeking quiet moments, small details and explosions of color. A photograph holds still a sliver of time and gives it shape. Catching the right instant is inexplicably gratifying. We can measure time and light and sound and distance, but what about emotion or imagination? Can they be held within the confines of an image? Trying to capture such intangibles is part of what compels me to photograph. The thrill of shooting comes from stumbling across the unexpected, or capturing that image you foresaw. That thrill went beyond just the fashion shows and late-night after-parties in sweaty nightclubs. I wandered Dakar’s sandy streets in search of images and snapped pictures along my old jogging route, while lounging at the beach, and photographed my former watchman with his family. Looking at the pictures now, many reflect a solemn mood at odds with the gaiety surrounding the week, but others depict the enjoyment and levity I experienced. Fashion may seem frivolous, but it’s a portal into beauty, creativity and life — the very things that first drew me to photography before ugliness, destruction and death warped my view. What did you learn about yourself during this process (we’ve talked broadly before, now I’m speaking directly to the event)? Using my iPhone and social media to engage in a familiar place with people who matter to me allowed me to reconnect with something I thought I had lost forever — the pure and simple joy of making pictures. By the end of my visit, I wanted to keep shooting. More than that, I was reminded that photography is a central part of me, something elemental in my spirit and fundamental to how I view the world. 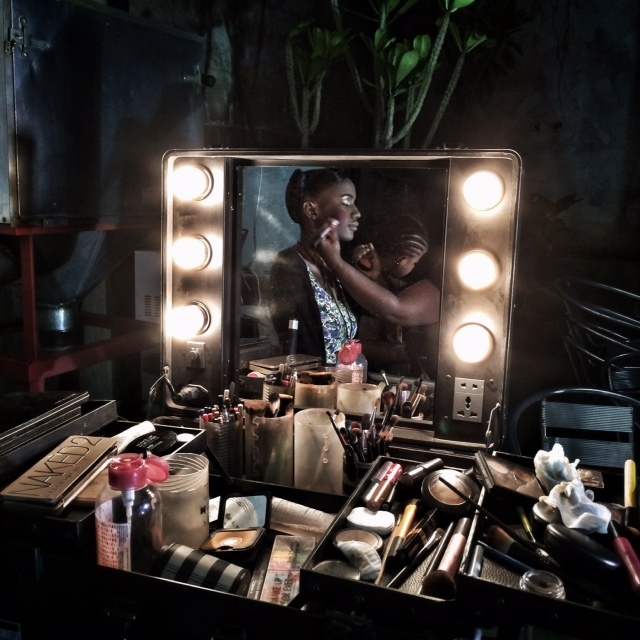 In Dakar, the creative vapor crystallized and took shape again, like a Polaroid developing from a milky cloud into something tangible, concrete. And just as in a Polaroid, all the elements were already there. They just needed to coalesce in the right place, at the right time. What have you learned about others from this shoot (we talked about what you’ve learned about yourself, I’m curious what you’re learning about others through your experiences)? Even though I didn’t have a media outlet to publish my images, social media proved to be a great way to share the work. It generated more interest than I expected. The New York Times ended up running a series of the images along with an essay I wrote, and Instagram featured a picture I took on a beach that used to be my favorite local surf spot. It got more than a million likes on their page. That was kind of a weird experience and I’m not sure it means anything, but it was a reminder of how people view and consume images these days. The challenge, of course, is how professional photographers can use social media as a tool to monetize their work in an industry facing serious financial setbacks. Now, onto the main image. Can you walk us through the moments leading up to it? 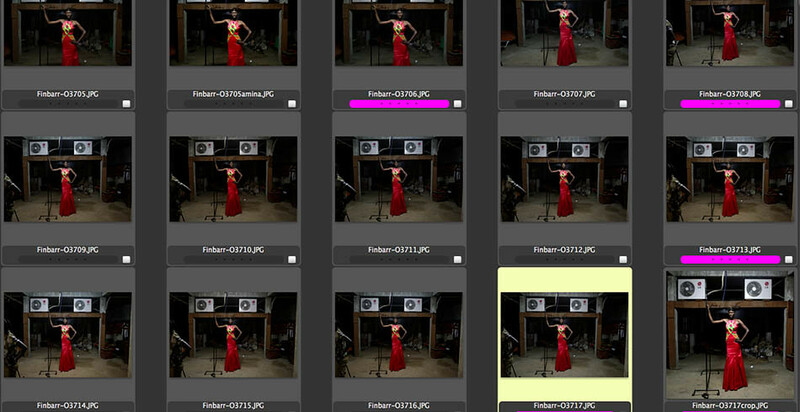 Additionally, can you talk about what you were thinking processing while making the image? This image was taken on my second evening, on that night when things really started to click and I rushed back to my hotel to get my cameras. 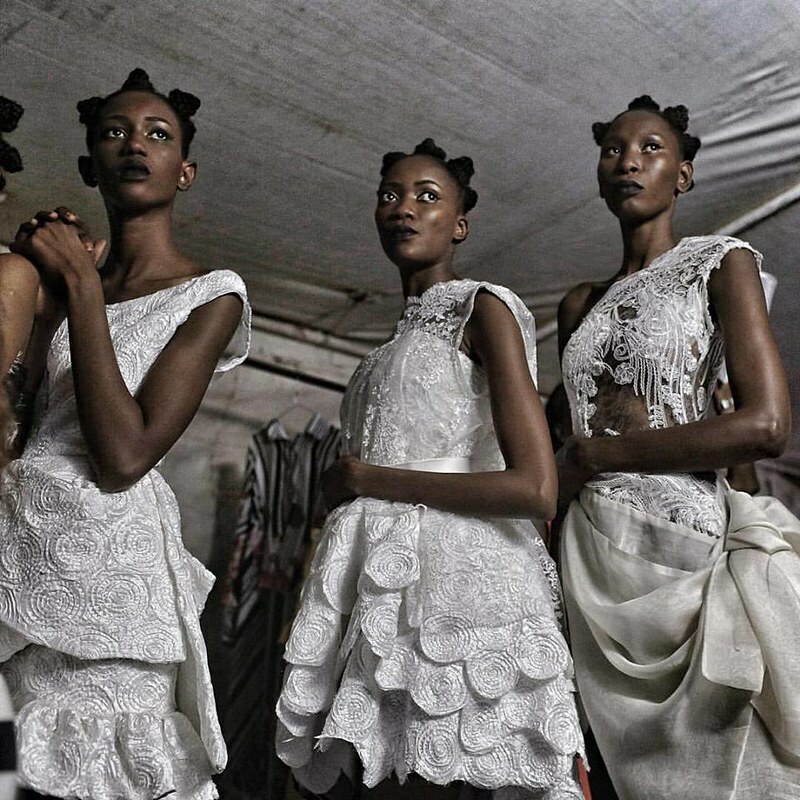 The backstage scene was messy, but interesting, with strong light and shadows being cast against concrete walls in a rustic industrial space behind the catwalk. It was a great mix of glamour and coarseness—the kind of contrast I enjoy. I spent almost all that evening backstage and pretty much ignored the catwalk, which doesn’t usually interest me that much anyway. 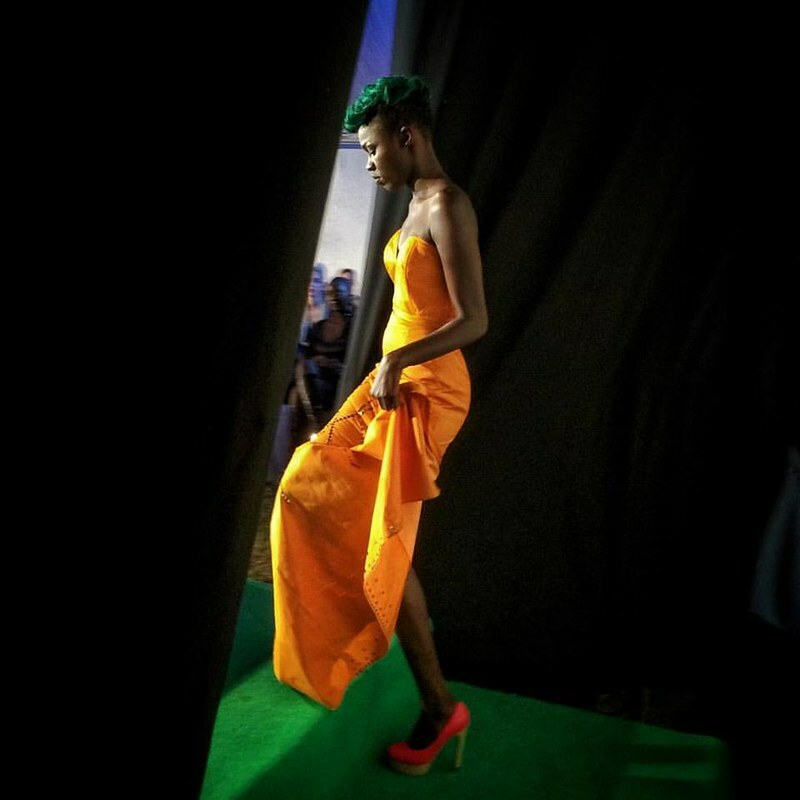 After several hours of shooting, the show was over and designers were packing up their creations. The model, Aminata Faye, is a close friend and, contrary to what I was saying about candid images, I wanted to shoot a few portraits of her. I asked her to step just slightly away from where everything was going on into a bigger, empty space off to the side. The overhead light was strong and the clothes rack was standing there and she leaned on it. Aminata is one of my favorite models to shoot, mainly because she doesn’t care too much about modeling. Many of the other models in Dakar work too hard for the camera and it looks forced, but Aminata gets it just right without much effort. She’s a star athlete, the captain of Senegal’s national volleyball team, and has a masters degree in business, so modelling is kind of a pastime for her. Still, her role in Dakar Fashion Week led her to recently appearing in a campaign for the French fashion house Balmain. I only had a few moments to shoot this scene before the designer demanded the dress. I don’t think he liked it being photographed with all the garbage and the dirt floor in the background, but it’s what interested me on some level. I especially like how the gesture of Aminata’s arm mirrors the pipe from the air conditioning unit, which I wasn’t consciously aware of when I made the picture. In conclusion, what advice would you have for someone wanting to do this type of work? I don’t think I can really advise much on fashion photography specifically, but in terms of the bigger picture, it’s well known that working on stories that matter to you personally is the most rewarding thing to do, and it always produces the best results. For anyone looking to produce meaningful work, they will have to find those places and people they want to spend time with to make strong pictures. I lost my passion for photography by covering things that were meaningless to me, and it was only by going back to what I enjoyed that allowed me to find that spark of inspiration again. Finbarr O’Reilly spent 15 years working as a newswire reporter and photographer in Africa and the Middle East. He is the co-author of the forthcoming book “Shooting Ghosts,” to be published in 2017 by the Viking imprint Penguin Random House, about the psychological costs of war. He is a 2016 writer in residence at the Carey Institute for Global Good and at the MacDowell Colony, a 2015 Yale world fellow, a 2014 Ochberg fellow at Columbia University’s DART Center for Journalism and Trauma, and a 2013 Harvard Nieman fellow. He is based in Dublin.